Welcome to eZee Insider, keeping you up to date with what’s happening in eZee. 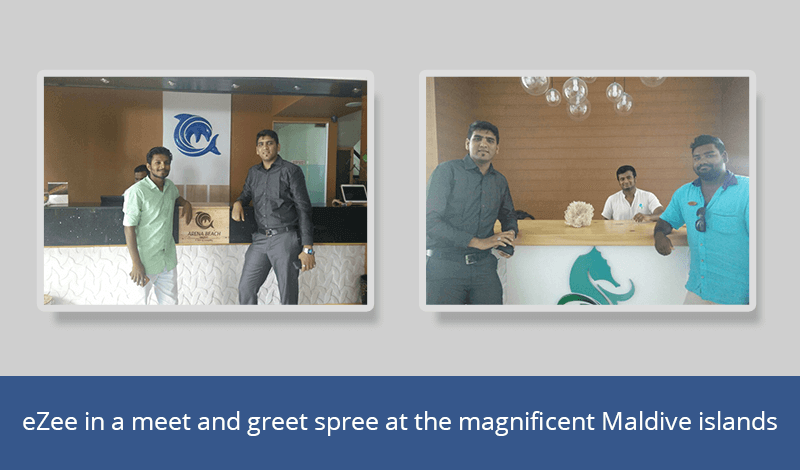 In this edition, eZee with Infotainment at Hotel Show Colombo 2015, eZee pays a courtesy visit to the magnificent Maldive Islands, eZee at the PayPal Insights - The Travel Edition – Thailand and much more. 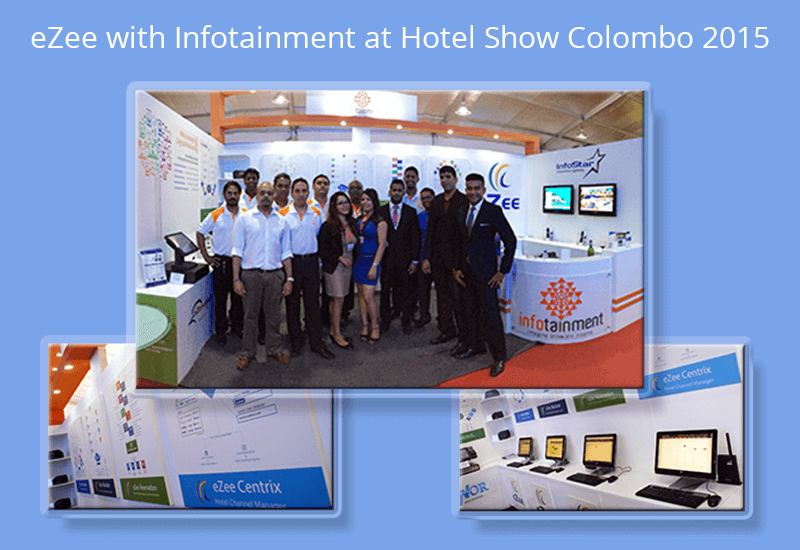 The 10th edition of Hotel Show Colombo took place on 22nd May 2015 to 24th May 2015 at BMICH, Colombo. eZee’s authorized partner Infotainment.lk represented eZee products at the showcase. The team of Infotainment, provided live demonstrations of products and received astounding response from the attendees. On 24th May 2015, eZeeâ€™s COO, Mr Aeijaz Sodawala personally attended the event. The huge success of the showcase resulted in enrichment of brand name of eZee and many new business opportunities in Sri Lanka. Thank you for attending and helping us make this event and huge success. In the month on May 2015, eZee’s Head of Operations Mr Aeijaz Sodawala paid a courtesy visit to few of eZee’s clients in Maldives along with Acuity Business Solutions, eZee’s authorized partner in the country. The small holiday destination consists of more than 200 happy eZee clients and the visit included a few local properties like Arena Beach Holidays, Ocean Grand, Laze Hotel, Airport Beach Hotel and various others. As a result of the of the visit to Maldives, we acquired direct client feedback obtained a better understanding of the local market trends. Consequently, this has further strengthen eZee's relationship with clients and opened a lot of business opportunities in the region. 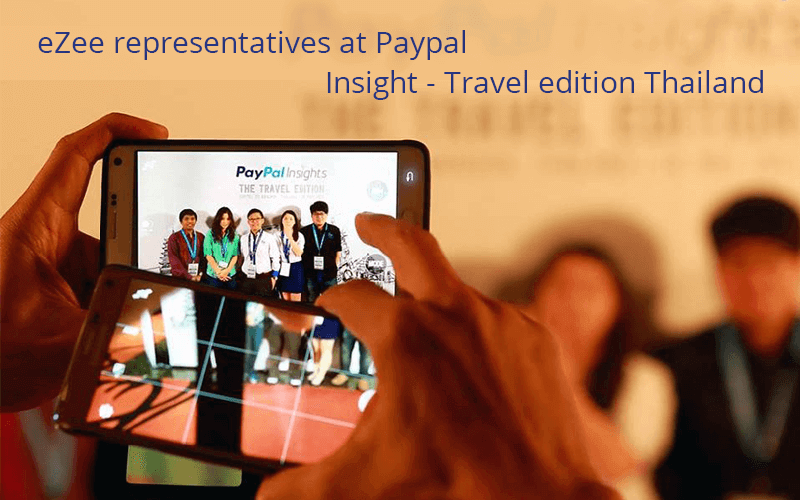 One of the world’s leading payments platform- PayPal recently organized PayPal Insights - The Travel Edition – Thailand. The conference was one of the largest gathering of travel industry leaders like Rahul Shingal - Country Manager of Southeast Asia -PayPal, Sandor Bakalis- Head of Merchant Verticals of Asia Pacific, PayPal and many more. Additionally, the discussion varied from subjects like the booming online travel shopping to the future of digital travel industry in South-East Asia. eZee representatives Ms Chochuwong from Philius Ltd, Mr. Loke, Ms Tan and Mr Jackson from eZee Malaysia and Mr Satrio from eZee Indonesia attended The Travel Edition on behalf eZee. Following the release of eZeeTechnosys.com in Spanish, Indonesian and Arabic, eZee Technosys is now available in Thai. As a result of the new language website, visitors from Thai region will be able to easily grasp of all the features and benefits offered with eZee products. 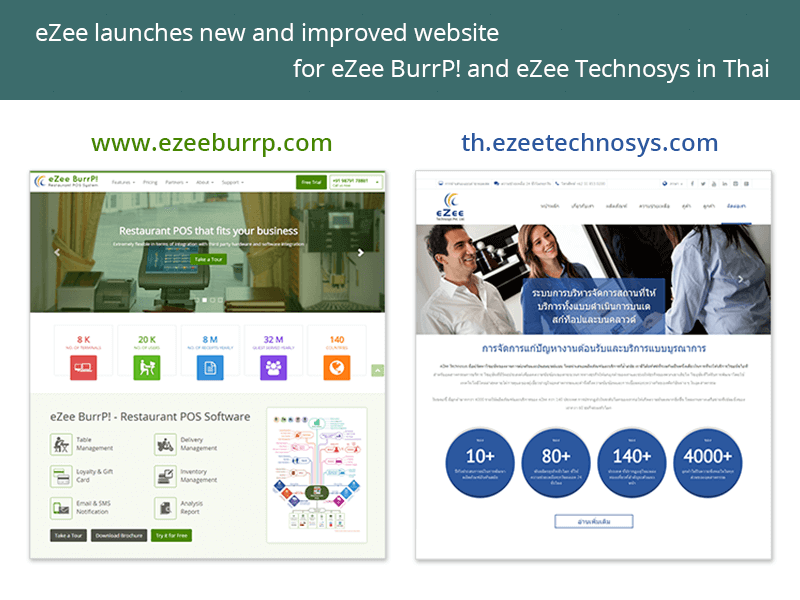 Simultaneously, eZee is proud to relaunching of one of its product website for eZee BurrP! Restaurant POS. The new product website is provides a smooth and user friendly navigating experience, which allows the readers to easily find the information related to eZee BurrP! and other integrated products. In the past 10 years, eZee has built a strong presence in the hospitality industry, with the release of two new websites, eZee aspire’s to enhance the global reach of brand eZee even further. 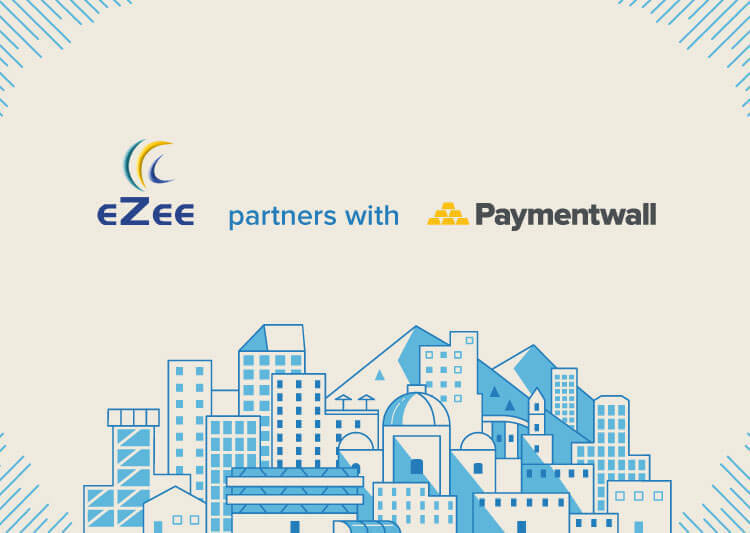 eZee is proud to announce that eZee Reservation has competed integration with Paymentwall’s global payments platform. As a result of the new integration eZee's hotel clients can offer their guest a dynamic payment portal that allows them to effortlessly accept online transactions from guests. Additionally, Paymentwall’s secure PCI DSS Level 1 compliant payment platform will ensure highest level of security in protecting sensitive data while providing a seamless integration with eZee’s Reservation portal on hotel’s websites and mobile applications. Consequently, the secure and smooth flow of data will aid hoteliers, expedite their service and enrich guest interaction. Following the release of the Joomla! Plugin extension for eZee Reservation, eZee has launched a eZee Reservation online booking engine plugin for WordPress. WordPress is one of the most popular content management system, currently hosting more than 60 million websites. The new WordPress plugin for booking engine will allow hoteliers to seamlessly integrate eZee Reservation with their hotel website and receive direct bookings from the website without hassles.Additionally, the plugin will seamlessly integrate with hotel’s property management system and channel manager and streamline all the hotel operations. As a result, hoteliers can provide guests an exquisite booking experience and enhance their business as well as increase revenue. eZee is delighted to announce that Hotel Turquoise and Hotel GTC have chosen eZee as their complete hospitality solutions provider. Both the properties will be using eZee FrontDesk hotel management software to manage all hotel operations and eZee Centrix to their online channel manager. In addition, GTC hotel will be able to receive direct bookings though eZee Reservation. 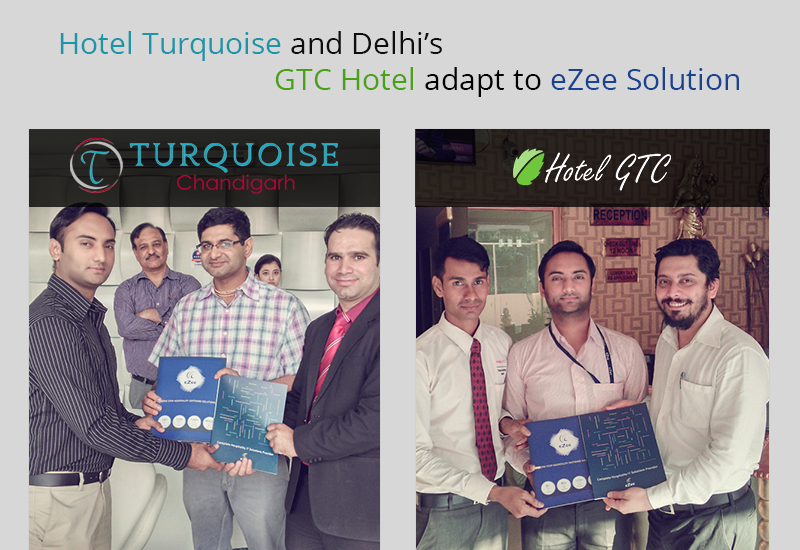 The Turquoise Hotel in Chandigarh and the Delhi based GTC hotel will also be using eZee BurrP! restaurant POS for managing operations at their in house restaurants. Furthermore, the staff GTC hotel will also be utilizing eZee iMenu as their digital ordering system. One of eZee’s support executive, Mr Chiron Modi personally visited both the properties to carry out the implementation process and provide training to the staff. The Trans Maldives Airways are world’s largest seaplane fleet, located near Ibrahim Nasir International Airport in Malé, Maldives. The indoor and terrace cafe the TMA terminal, recently implemented eZee BurrP! restaurant POS to manage the day to day operations. Moreover, the robust features of eZee BurrP! will aid the staff to expedite the service and operate more efficiently. Acuity business solutions, eZee’s official channel partner at the island carried out the implementation and training process at the Trans Maldives Airways. In addition, eZee’s COO Aeijaz Sodawala, personally flew to Maldives to meet the client and ensure system meets client expectation. Famous for the breathtaking view of the Margala Hills, the Serai Hotel have chosen eZee as their hospitality solutions provider. 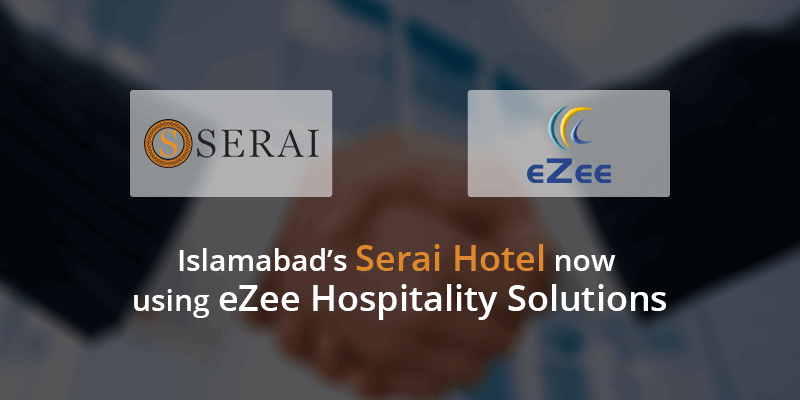 Located in Islamabad, the Serai hotel will now be using eZee Absolute,online property management system. The cloud PMS will allow the hotel staff to efficiently manage day to day operations online and enhance guest interaction. Meanwhile, the boutique hotel has also implemented eZee Centrix to manage their online distribution. The online channel manager will aid the hotel, increase online booking by establishing 2-way XML connectivity with more than 80 OTA partners and GDS channels associated with eZee.